Frank Lloyd Wright's Unity Temple is among 10 of the architect's creations nominated for consideration as a World Heritage site, the U.S. Department of the Interior recently announced. The group of structures, nominated by the Interior Department under the title "Key Works of Modern Architecture by Frank Lloyd Wright," also includes Wright's Frederick C. Robie House in Chicago, along with other buildings scattered throughout the country. The Unity Temple Restoration Foundation (UTRF) also announced in a news release that Unity Temple is preparing to begin work on its $25 million restoration. The restoration group has launched a capital fundraising campaign for the project. In 2013, The Alphawood Foundation, headed by philanthropist and Newsweb Corp. owner Fred Eychaner, contributed $10 million to the restoration project and the Unity Temple Unitarian Universalist Congregation has raised $1.5 million. "Almost half of the $25 million campaign goal has been committed," Heather Hutchison, UTRF executive director, said. If approved by the World Heritage Committee, the buildings would join with iconic sites such as the Taj Mahal, Stonehenge, the Great Barrier Reef, and the Statue of Liberty. The designation would not impose any legal restrictions on the property or its neighbors. "Frank Lloyd Wright is widely considered to be the greatest American architect of the 20th century and his works are a highly valued and uniquely American contribution to the world's architectural heritage," Interior Secretary Sally Jewell said in a news release. A final decision on the designation is expected sometime in 2016. 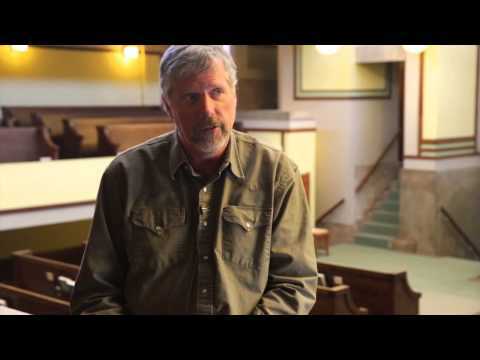 UTRF, meanwhile, will begin work restoring Unity Temple in April, installing a geothermal heating and cooling system throughout the building, Hutchison said during a tour of the building. The restoration project also includes renovation of the concrete exterior of the building. Stephen J. Kelley, a member of the Unity Temple congregation board, said in an interview that a restoration of the exterior in the 1970s replaced much of the original exterior with a spray-on concrete called shotcrete. Kelley said the shotcrete is loose and cracked in some places. The exterior also will replace some 20 different roofs on the building. Interior renovations will include restoration of cracked and broken art glass throughout the sanctuary and community house, repainting the interior walls, and installation of an HVAC unit. "The paint scheme that's up [in the sanctuary] now is what was understood to be the original colors in the 1970s, but the whole technology of understanding finishes and finish analysis has gone through so much evolution between now and then that we are doing it over again," Kelley said. He noted that cracked concrete in the sanctuary has caused leaking and deterioration of the ceiling. Some areas of the sanctuary ceiling are covered with painted plywood to protect the congregation from potential falling concrete, Kelley said. "The roof was leaking and it was coming through the concrete and the reinforcing was starting to corrode," he said. The renovations are expected to be completed in 2016. The other eight sites up for consideration as part of the "Key Works" nomination include: Taliesin in Spring Green, Wisconsin; Hollyhock House in Los Angeles, California; Fallingwater in Mill Run, Pennsylvania; the Herbert and Katherine Jacobs House in Madison, Wisconsin; Taliesin West in Scottsdale, Arizona; the Solomon R. Guggenheim Museum in New York City; Price Tower in Bartlesville, Oklahoma; and Marin County Civic Center in San Rafael, California.